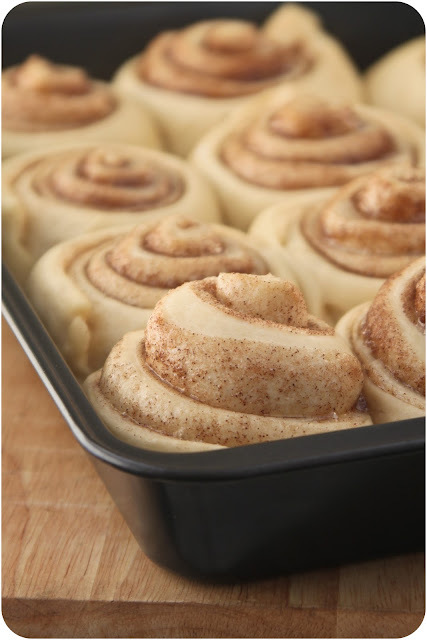 Who does not love the smell of cinnamon and bread baking in the oven? I cannot resist. I have been trying to find the perfect recipe for cinnamon rolls and so far I think this one is the best of what I could find. It did take a little longer than they had stated for the rising parts but I tried to speed it up for the second rise by heating the oven to 200 degrees and then shutting it off. Then I put the pan in the oven and it did speed up the rising. I think I will be using that trick more since I was running my dryer in order to keep the dough in a warm on top of it. Try these and let me know what you think.